With winter quickly settling in, it’s finally the season of bonfires and flannel. There’s nothing better than a chilly night warming up by the fire, and a cozy living space is the perfect place to start. The charm of a rustic cottage is hard to deny, and we’re all about embracing the feel of a “grandma’s cottage” with a little dash of luxury. 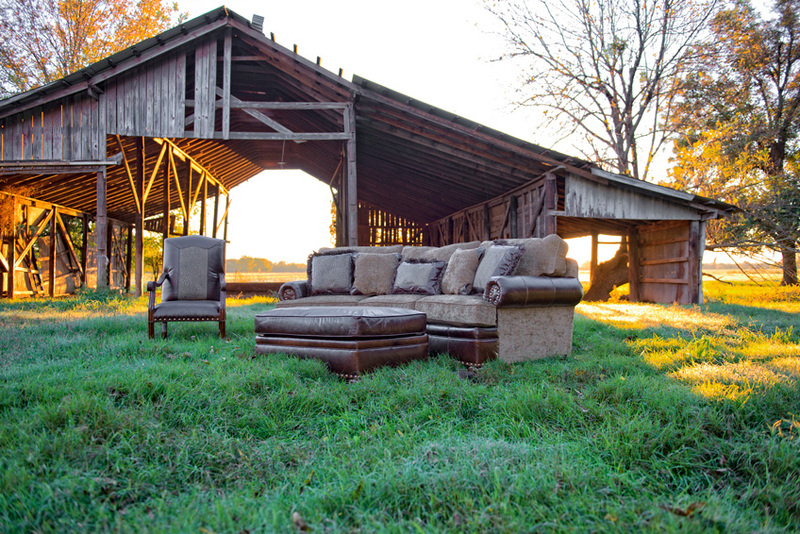 So how do you go about creating the perfect rustic home space? It’s all in the patterns. Plaid and flannel are your new best friends when it comes to making a warm and welcoming “cabin the woods” feel. 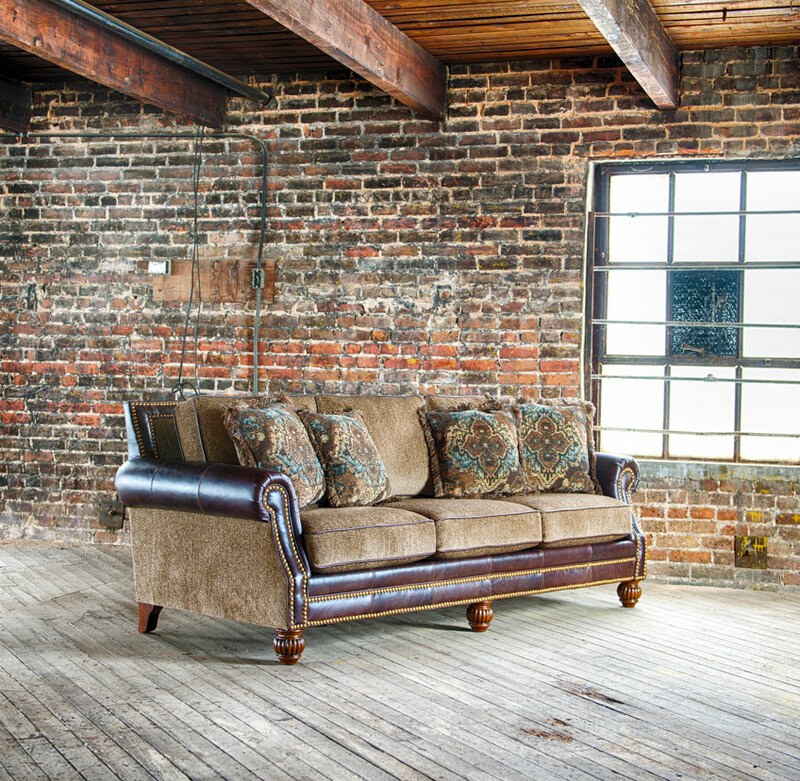 Starting with furniture, set the tone of your space with large furniture pieces in soft flannel patterns. Try the Mayo Furniture Buffalo Check Brown Upholstered Swivel Glider for a neutral color palette or the Mayo Furniture Buffalo Check Red Upholstered Chair for the classic red flannel look. 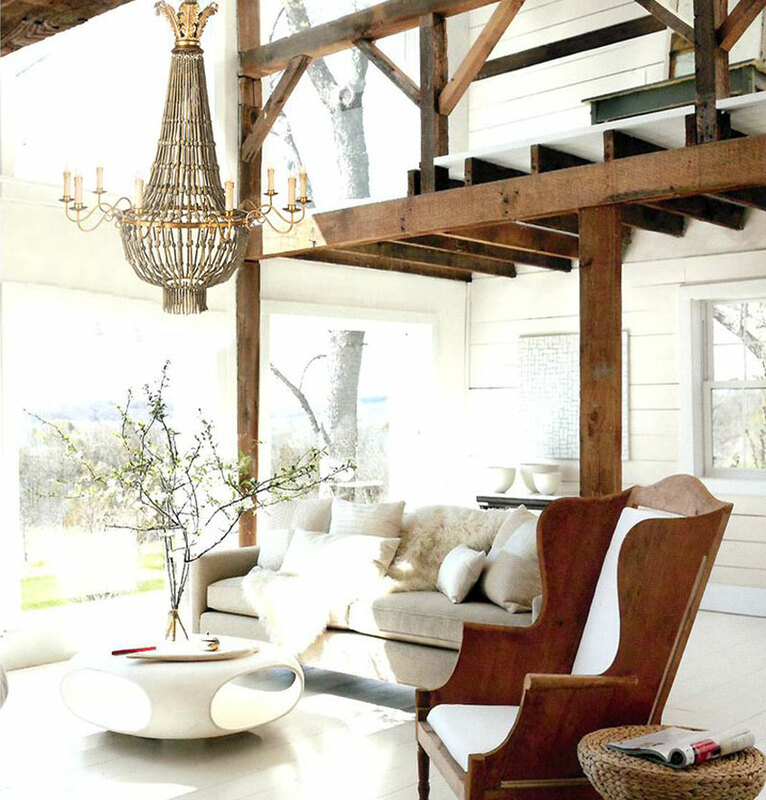 The key to bringing in the rustic feel to your space is the tasteful addition of wood. 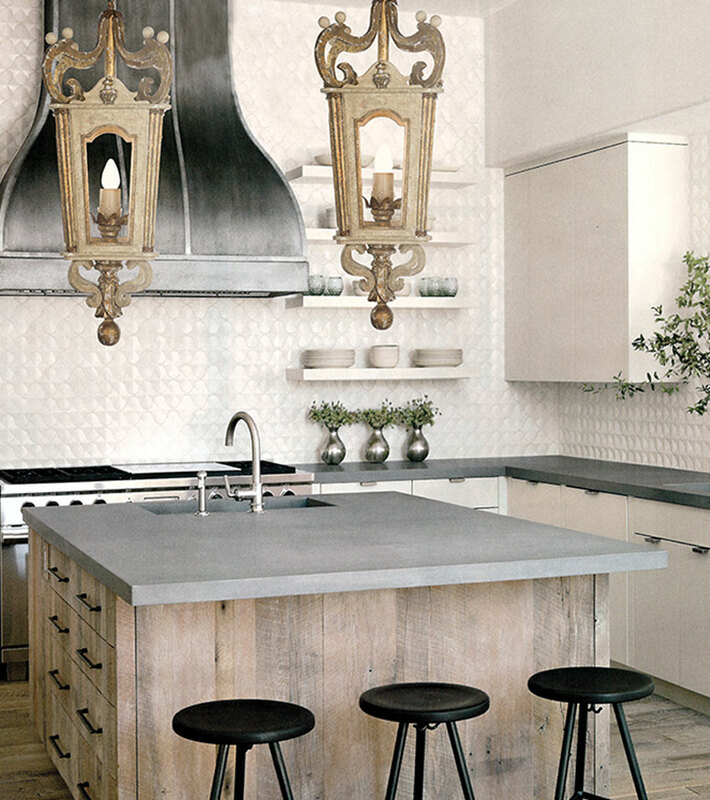 A perfect way to include the cabin feel is with wooden barstools like this Arteriors Home Henson Counter Stool. Place a few behind a bar for an instant rustic aesthetic. A great way to embrace the rustic home decor trend without investing in large pieces is with patterned additions like pillows. The Magnolia Home by Joanna Gaines Alena Pillow in Ivory & Grey is the perfect addition of plaid to your space. Complete a sofa with a few rustic inspired pillows like the Magnolia Home by Joanna Gaines Bishop Pillow in Gold & Multi and the Magnolia Home by Joanna Gaines Sutton Pillow in Ivory & Copper. Tossing a few of these throw pillows with a fur throw over a sofa immediately creates a rustic and homey feel in your interior. Just add a crackling fire and a mug of hot chocolate and you’ll be living in a rustic dream! Lighting can also change the entire feel of a space. Make your house into a home with lighting pieces that embrace the woods and all things nature. Set the tone of an entire room with the stunning Currey & Company Lighting Rainforest Chandelier that dazzles with antler detailing. Another beautiful lighting option is the show-stopping Currey & Company Lighting Treetop Chandelier Small. For smaller lighting options, add instant charm with the Chelsea House Lighting Moose Antler Candlestick Pair. These antler-inspired candlesticks would pair perfectly on a mantle or a bookshelf for a touch of rustic elegance. Storage cubes are a great addition to a room since they offer both functionality and style. The Aidan Gray Home The Sac de Moulin Wooden Storage Cube serves as both a space for storage and an ottoman for extra seating when entraining large parties. There are a variety of styles and colors to choose from including black and white in addition to the variations of size and shape. Don’t forget about the small details! You can complete a rustic themed home with the little things you might not initially think of to add. Accent pieces like coasters (Regina Andrew Design Home Shagreen Coaster Set - Ivory Grey) or even a lazy susan on a kitchen table (Jonathan Charles Home 32" Country Walnut Lazy Susan) can add the finishing touches to a space.